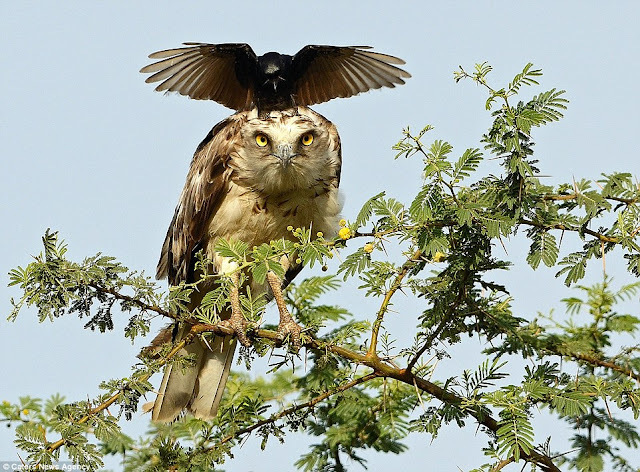 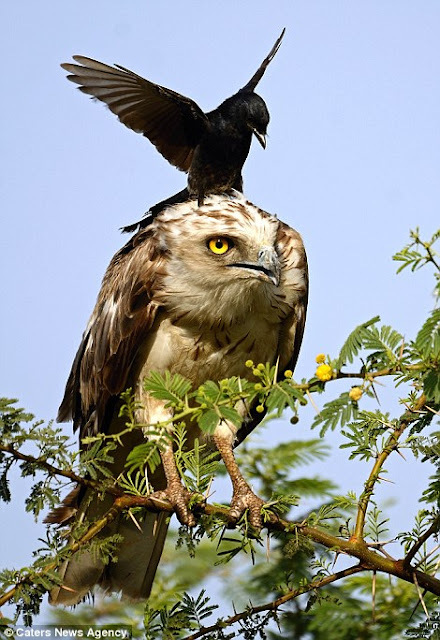 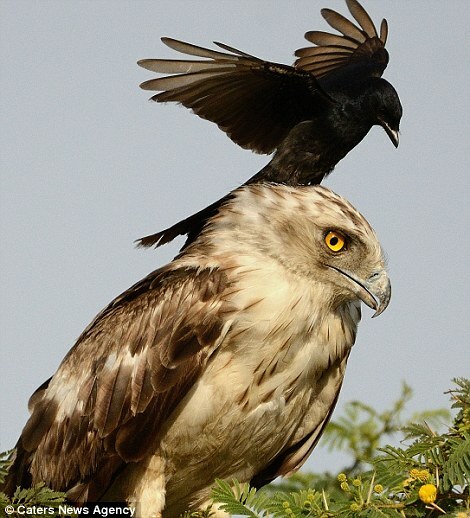 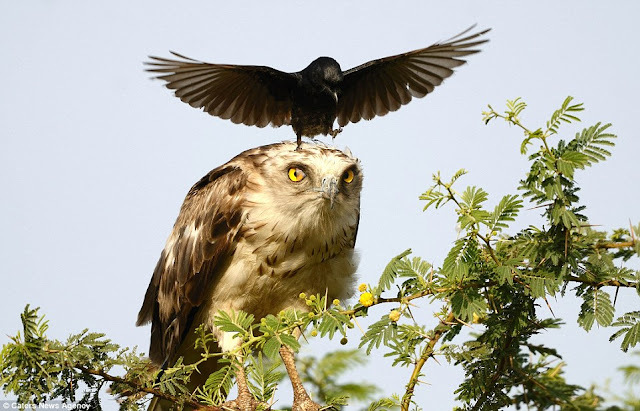 This set of hilarious photographs capture the moment a black drongo circles short-toed snake eagle and then lands on its head. 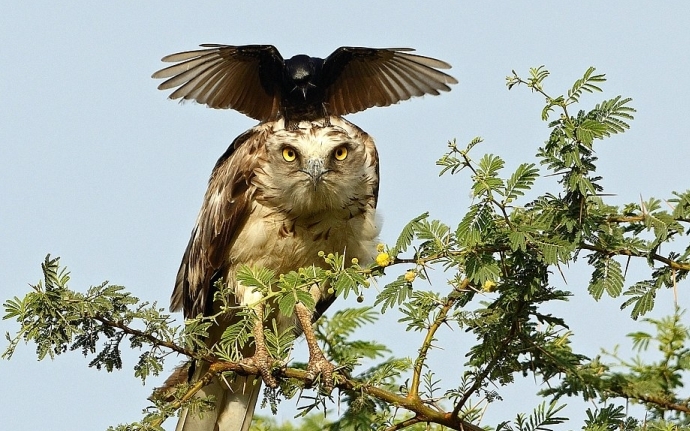 Judging by the pictures, it is quite clear the bird of prey is not too pleased with its unwanted guest crashing down onto it over and over again. 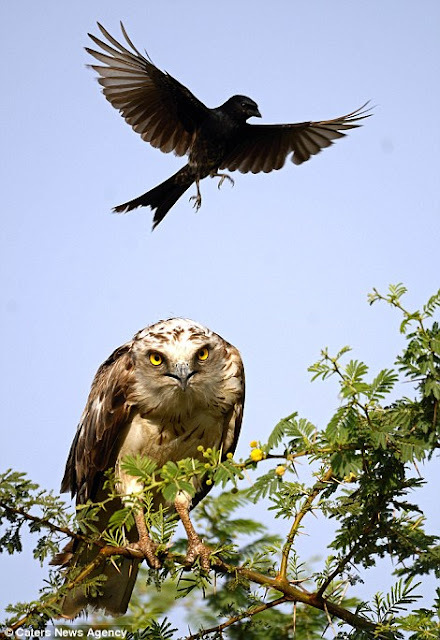 The encounter was spotted by Greaves Henriksen in Tamilnadu, India. The 52-year-old amateur photographer believes the eagle was sitting close to a nest, which the bird was trying to defend. 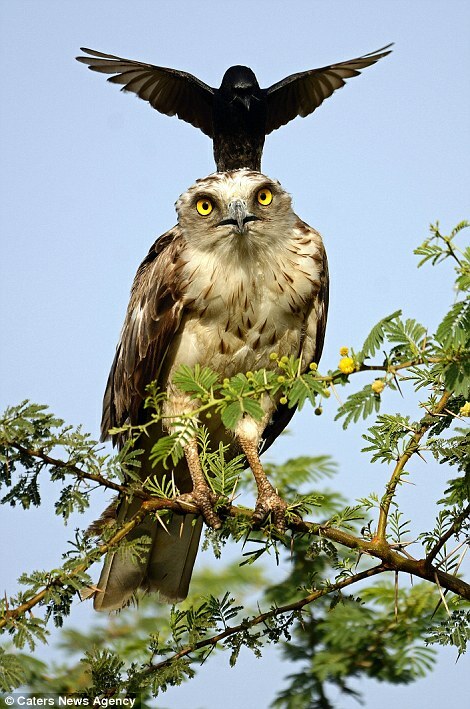 Greaves, a manager at a tea gardens, said: 'I just couldn't stop taking photos of this truly rare sight. 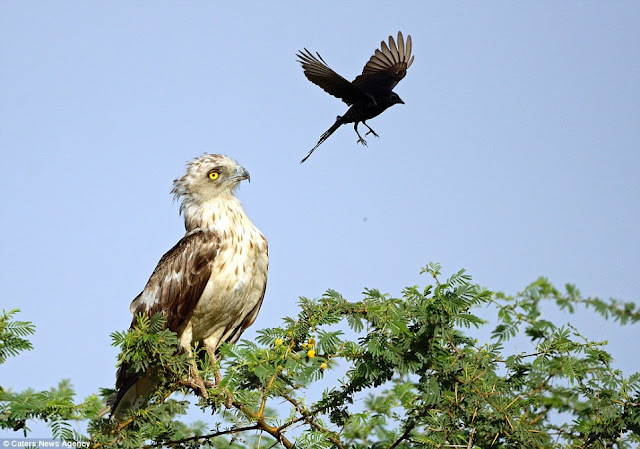 Black drongos are usually solitary and form monogamous breeding pairs. 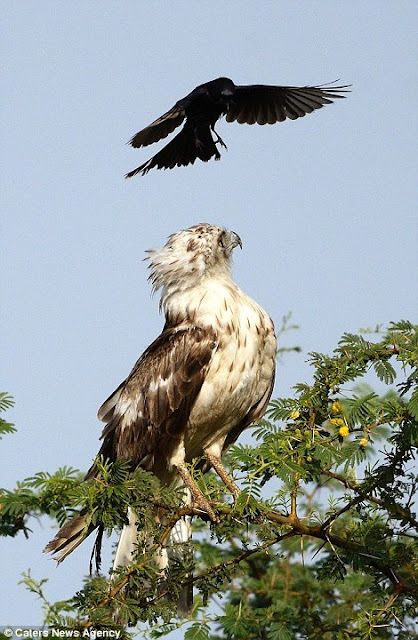 They are aggressive and fearless, regularly mobbing or attacking much larger species, including birds of prey, if their nest or young are threatened or their territory is compromised. They also join mixed foraging bird parties, and will initiate mobbing of common enemies. 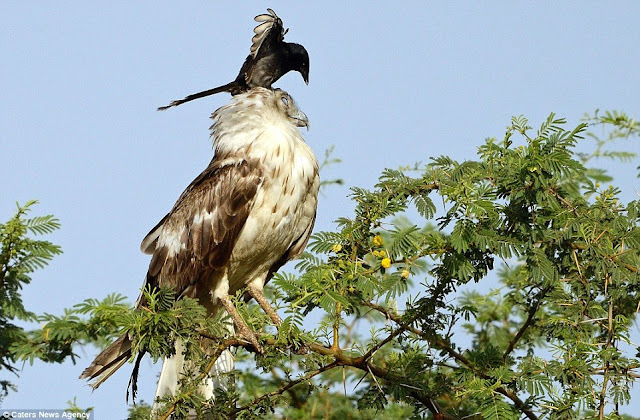 To maintain their plumage condition they may rain-bathe, foliage-bathe or plunge-dive into water. 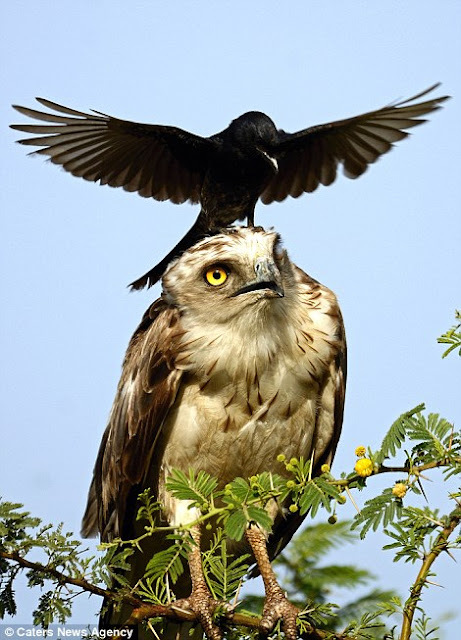 Terrestrial foragers like babblers may use the drongo as a sentry. 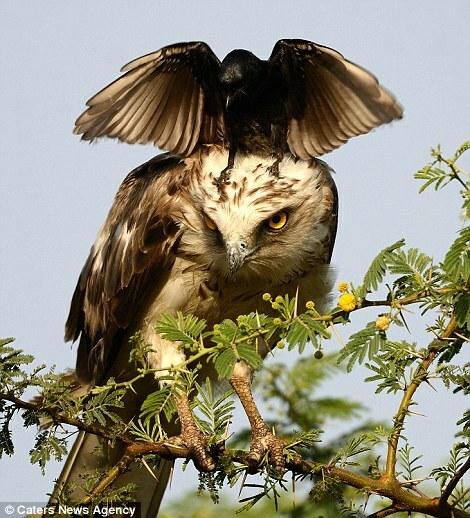 Responses to "Hilarious moment a bird is seen repeatedly landing on an eagle's head"